One of the most complicated parts of a divorce or separation are issues surrounding minor children between a couple. There are issues of legal and physical custody to resolve as well as how much child support needs to be paid on a monthly basis. Not surprisingly, these are not always resolved in an amicable fashion. One case in Phoenix is literally changing the laws around child support obligations and it is so bizarre that we want to talk about it today. Please know that you should always seek assistance from an Arizona family law attorney when making decisions concerning separation and child support. The Arizona Court of Appeals has ruled that a Phoenix woman can attempt pregnancy using fertilized embryos without the consent of her ex-husband. The court ruled in a 2-1 decision that Ruby Torres has a right to procreate that outweighs her ex-husband’s interest not to. In making this ruling, the court acknowledged that John Terrell, the ex-husband, may end up being financially responsible for the child. Torres made the argument that she should be able to implant the embryos when and if she decides to remarry, but Terrell asked the Maricopa Country Superior Court to prevent her from doing so during the divorce. 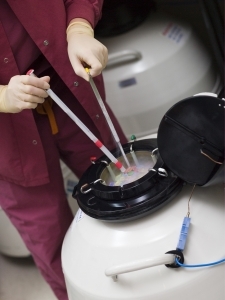 At the time, the court ruled that the embryos go to a third party. The one dissenting judge pointed out that the couple signed an agreement in 2014 that the embryos could not be used without the consent of both parties. This case has generated new laws in Arizona. In responding to these circumstances, the Legislature passed a law requiring the viable embryos from a legally divorced couple be awarded to the parent “who will allow the child to be born. It makes clear that the other parent has no rights or obligations upon the birth of the child, including child support. However, since this law was not around for the Torres case, Terrell could end up having to pay child support. Child support payments are court-ordered and must be paid. There are severe penalties for not paying child support, including fines and jail time. Child support payments do not go away and any owed back payments will accrue interest. The only way to alter payment agreements is through a court modification. We realize that most cases of child custody and child support are not as complicated or news-worthy as the story we discussed above. However, that does not mean that they are not important. When it comes to issues of child support, we know that you want to ensure your child’s best interests are looked after while also ensuring that you are being treated fairly. 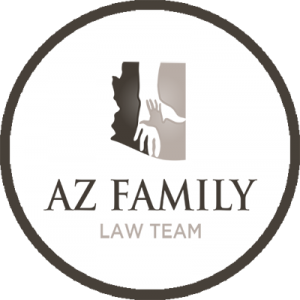 By securing an Arizona family law attorney, you can be sure that you have an advocate who will support you throughout the process. Find out can text messages be subpoenaed for divorce in Arizona.